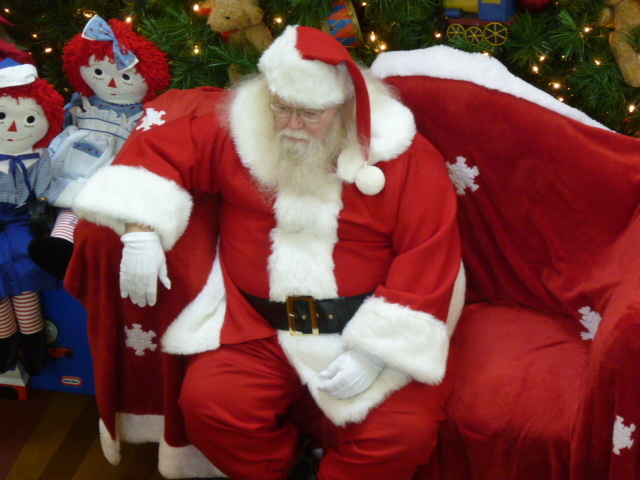 A man who played Santa in a shopping center in Franklin, Tennessee claims he won’t be working this Christmas because he was sacked for his refusal to wear a white beard. Ernest Johnson, 57, says he played Santa for the first time last Christmas when the shopping center’s regular Santa ended up in the hospital. With no one else to turn to on the 16th of December, Johnson, a maintenance worker at the mall usually, volunteered for service. He put on the red suit with the white beard and by all accounts seemed to do a good job for the final days of Santa’s run at the mall. But Johnson won’t be Santa this year. He claims he asked about the position and if he could do it again and the shopping center accepted his application. But as they interviewed him Johnson expressed his desire for what he calls “some wardrobe adjustments”. Among his demands were something under Santa’s coat to keep him cool, a change in Santa’s boots and “a beard more like what a black Santa would have”. The mall decided to outsource the Santa hiring for 2017, opting to use a national Santa rental agency to fill the position. Johnson is crying discrimination. “I don’t know who it is yet but I guarantee you it’ll be a white guy,” Johnson claims. Johnson claims to have contacted the Fraternal Order of Real Bearded Santas, a non-profit group that claims to “respect the diversity of Christmas traditions throughout the world”, for help. Johnson says he may contact the ACLU next. Representatives of the mall refused to comment for this story beyond confirming that “Mr. Johnson continues in his employment with us and we are grateful for his service”. The mall reminded us that Ernest Johnson has been employed at the mall for 9 years and the he remains an employee in good standing.